Learn to speak and understand Cantonese through dialogs that teach you basic language skills for communicating with Cantonese speakers in a variety of cultural contexts. Watch video and learn about greetings, shopping, food, dining out, weather, education, literature, holiday traditions, and more. With our specially designed video player for language learning you can pause the video at any point and scroll the transcription. Read annotations about culture and grammar. Click on almost any word or sentence to hear it spoken, along with translations. This course can be used either by independent learners or by students in a traditional or self-instructional classroom setting, and is the equivalent of the material covered in a one-year college course. Transcriptions are primarily written using romanization, but you can also view them with Chinese characters. 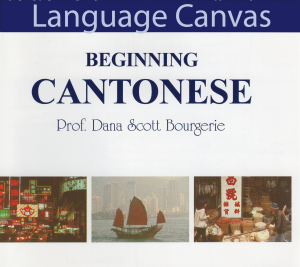 Beginning Cantonese was developed and peer-reviewed by Cantonese language experts and tested by college students using it as their first year textbook. The entire course contains 20 lessons, 29 videos with native speakers, poems, games, songs, hundreds of annotations, and 11,400 word and sentence audio recordings. Subscribe now and be enrolled in minutes! Prof. Dana Scott Bourgerie is Department Chair and Professor, Asian & Near Eastern Languages at Brigham Young University, Provo, Utah. He earned his Ph.D. in East Asian Languages in 1991 from The Ohio State University. He has studied as a Fulbright scholar at the Chinese University of Hong Kong and as a visiting scholar at the City University of Hong Kong. He is also the author of Beginning Chinese. More information about him is here. Beginning Cantonese materials © 1995-2019 Arizona Board Of Regents on behalf of the University Of Arizona. Used under license.